The Albany model has 3 Beds and 2 Baths. This 1764 square foot Triple Wide home is available for delivery in Oregon, Washington, Northern California, Northern Idaho. This isn’t your typical manufactured home! One look at the Albany floor plan and you know you’re witnessing something special. Every well-appointed room and feature in this house has something fabulous to offer. For instance, ponder over the unusual triple section configuration with formal foyer front entry. 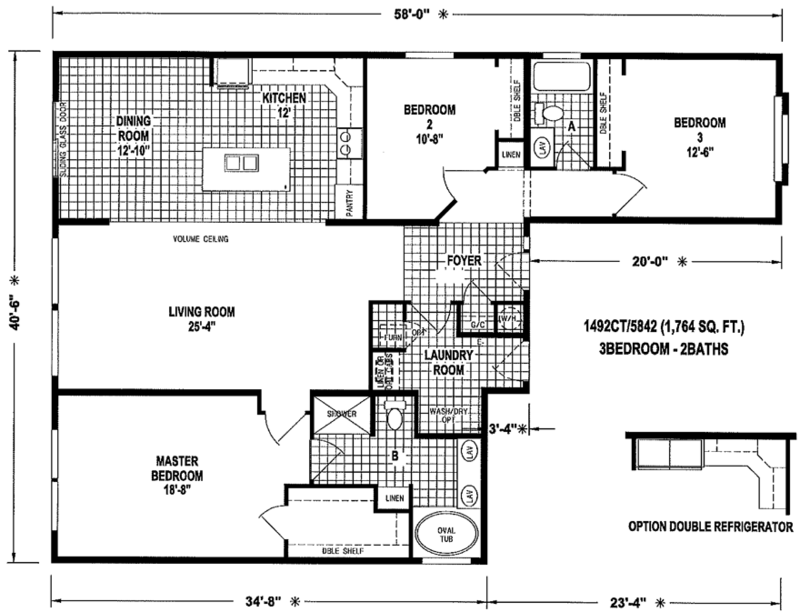 Moreover, the middle section completely separates the master from the guest bedrooms. Ask your housing consultant about the other great features that come standard on the Albany manufactured home.